RainCache is an innovative rainwater management company, pioneering smart and sustainable rainwater management solutions in Nigeria. We cover engineering, design, procurement, installation and maintenance of bespoke water solutions that allow an integrated water management approach to be realized either on a residential, commercial, agricultural, Industrial development or a community scale. We provide a natural approach to managing rainwater, mitigating flood risk, erosion, water pollution, water shortages and heat island effect. We understand each development has its own set of special circumstances that need to be addressed on an individual basis. There are no “cookie-cutter” fixes, but rather a storm water solution specially designed and tailored to meet your special needs considering the geological, hydrological, environmental, cost and location factors, to ensure the most appropriate technologies are employed. We pride ourselves on providing safe, technically sound and environmentally sensitive designs, and delivering them in the field, on time and on budget. Our teams combine geotechnical, hydrogeological, architectural, engineering and construction management skills, a strong supply chain, equipment, materials and skilled operatives to meet our client’s needs. To continually increase technical aptitude, RainCache taps into diverse international resources to gain special expert knowledge on developing trends and latest technologies through our international partners and specialists. RainCache cover all rainwater management systems – Collection, Conveyance, Storage and Treatment. i.e Rain gutters, siphonic roof drainage, water collector, rainwater harvesting, sustainable drainage solutions(SuDS), flood and erosion control, hydraulic analysis and integrated site design. 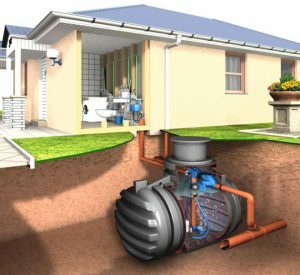 We design and install with function, aesthetic and sustainability in mind and we are proud to say that our expert installations have resulted in over 1,000 satisfied customers over the past 5+ years. .
Do you need supplies for rain gutters, rainwater harvesting, drainage, erosion, flood, SuDS? You Can Now Order rain gutters, rainwater harvesting, drainage, erosion, flood, SuDS, And All Kinds Of Rainwater Management Products From Our Online Store. (I)Rain Gutters – Aluminum rain gutters, PVC gutters, Copper and all form of artistic/decorative/custom made rain gutters.